Figure 6-1. 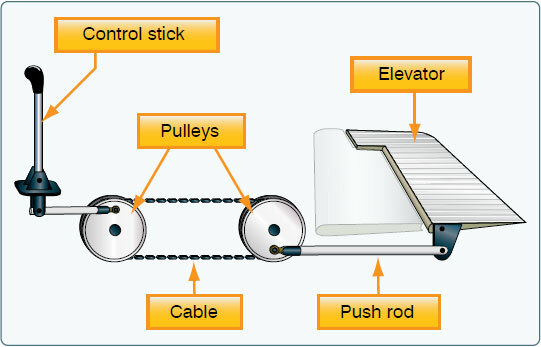 Mechanical flight control system. Figure 6-2. Hydromechanical flight control system. As aircraft became more sophisticated, the control surfaces were actuated by electric motors, digital computers, or fiber optic cables. Called “fly-by-wire,” this flight control system replaces the physical connection between pilot controls and the flight control surfaces with an electrical interface. 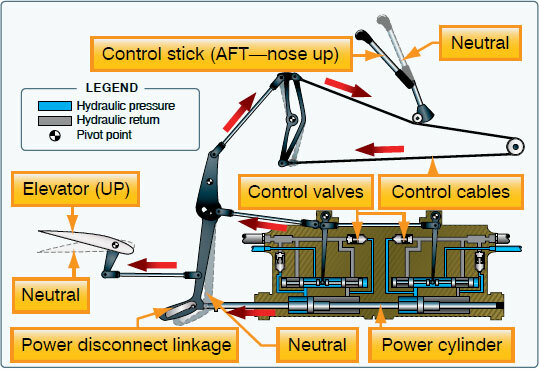 In addition, in some large and fast aircraft, controls are boosted by hydraulically or electrically actuated systems. In both the fly-by-wire and boosted controls, the feel of the control reaction is fed back to the pilot by simulated means. Current research at the National Aeronautics and Space Administration (NASA) Dryden Flight Research Center involves Intelligent Flight Control Systems (IFCS). The goal of this project is to develop an adaptive neural network-based flight control system. Applied directly to flight control system feedback errors, IFCS provides adjustments to improve aircraft performance in normal flight, as well as with system failures. With IFCS, a pilot is able to maintain control and safely land an aircraft that has suffered a failure to a control surface or damage to the airframe. It also improves mission capability, increases the reliability and safety of flight, and eases the pilot workload. Figure 6-3. 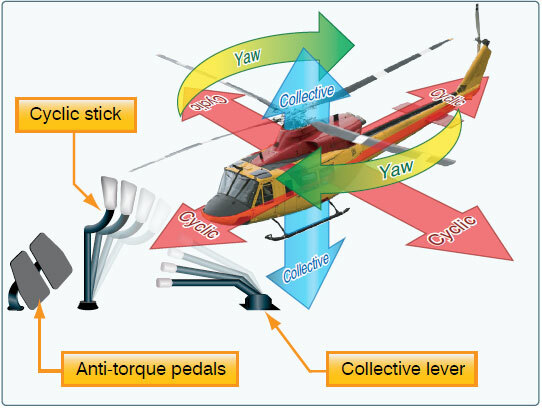 Helicopter flight control system.